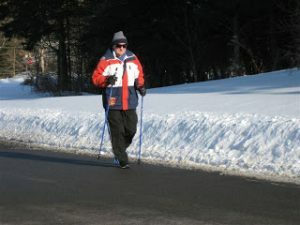 All of us at SKIWALKING.COM and the American Nordic Walking System are extremely grateful for all of our happy customers. We ship fast. 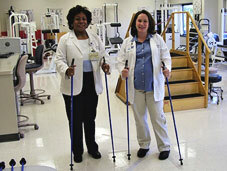 We have the #1 rated poles in North America. We are honest about one-piece poles being ideal for all ages and all fitness levels – the best poles for athletes, fitness walking, weight loss, Nordic Walking, hiking, trekking, ……… And we are honest about collapsible poles and the cheap/flimsy twist-locks and flip-locks that weaken the poles. Seniors should NEVER be sold collapsible poles and athletes destroy them. Our quality one-piece poles do not have cheap/flimsy twist-locks or flip-locks. They are not collapsible. Happy Customers are a good thing. We never receive customer complaints about our user-friendly poles. We do receive orders from individuals that purchased collapsible poles from other sources and then found out just how horrible collapsible poles are. The comfortable patented straps really are amazing. Nordic Ski Shops sell these same straps for $40-$50 per pair and they are worth every penny. All of our walking poles are equipped with these amazing straps – including our lowest priced poles. $69.95 per pair. The poles have extremely durable carbide metal tips for off-road – dirt, grass, beach, snow and ice. Removable rubber tips are also included – for pavement, cement, carpet, tile, indoor/outdoor tracks, ……..
Quality Walking Poles = Happy Customers. Don’t get scammed by cheap/flimsy collapsible poles – most likely made in China. I love these poles! Great quality, light-weight, and …hey, it feels great to be holding ‘ski poles’ again! I used Swix ski poles 50 years ago, and it’s wonderful to see that they still make the best!